Because some friends often ask me, I will share here the tools I use for software development for both web and Smartphones. To begin, I will describe the computer I use every day. It directly influences the applications I use (at least in the versions of them). I currently use an iMac 27″ late 2010, with Intel Dual Core 3.06 GHz and 12GB of RAM (I know I’m extreme, but there was a good deal then.) I have installed the latest version of MacOSX 10.8.5 , waiting for the new version. 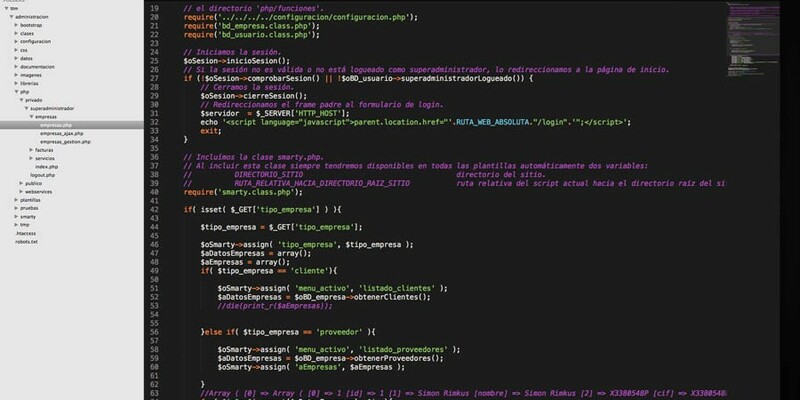 You can see it here: http://www.sublimetext.com/ . It is a paid app, which made ​​me wonder at first. I got the trial version and it took only a day to decide. I used to use Eclipse to develop in PHP and noticed much difference. It is available for Windows as well. 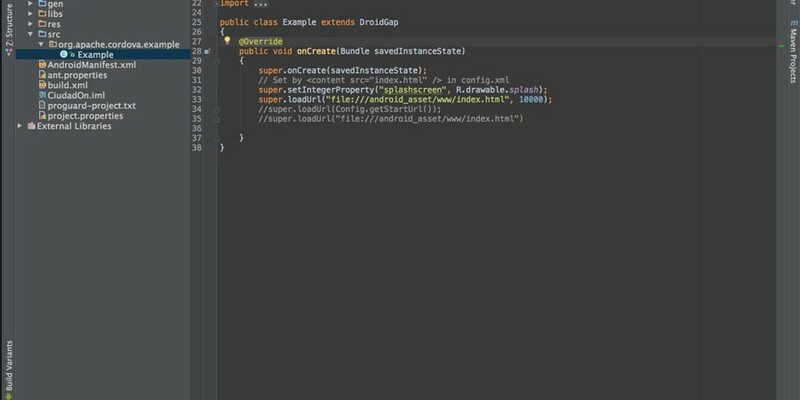 For Android development I’m using Android Studio. In my eagerness to abandon Eclipse, I tried it and although it’s not a great editor, it does the job. It is completely free and can be downloaded from here: http://developer.android.com/sdk/installing/studio.html. Course is also available for Windows. I will make a parenthesis to say something: Many people complain of slow Android Emulator. I totally agree and therefore always try to have my phone on hand when I test my applications. Enabling development option in the settings and connecting via USB you can run your apps directly on the device. It is faster and more accurate performance, plus save you having to install it on the phone later. For iOS development no choice but to use the famous Xcode. I can’t deny the quality of this application. It is an excellent IDE, even if it forces you to checkout and buy a Mac or do a hackintosh on a PC. In this case the iPhone and iPad emulators work pretty well. 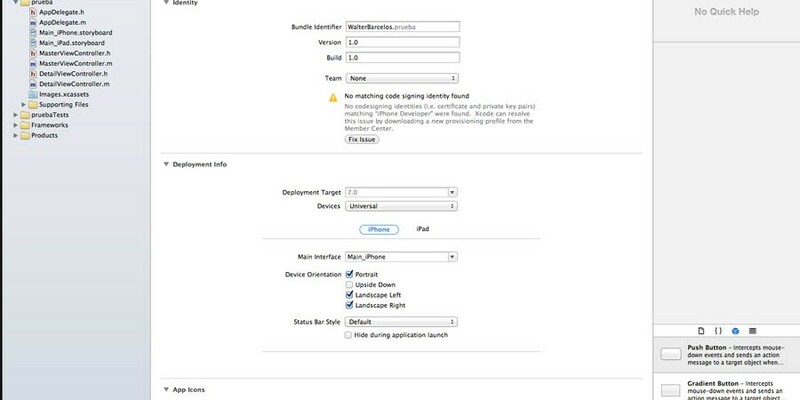 To test the device must checkout and pay the annual iOS developer fee ($ 99.00), plus recording devices to authorize the installation of your test applications. Another tool that I use is called Dash (http://kapeli.com/dash). It is a sort of compilation of the official documentation of many frameworks and programming languages​​, for quick and centralized access. 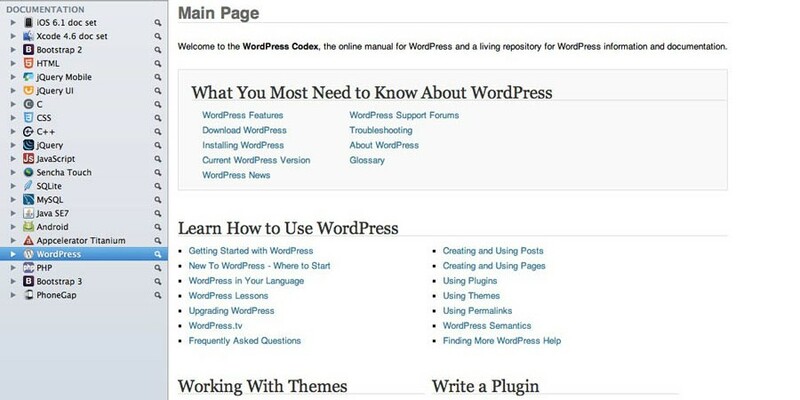 I personally have a few selected, such as WordPress, Bootstrap, jQuery, jQuery Mobile, PHP, Android, iOS, etc..
Once you get used to using it you can not live without it. It is available only for Mac. These are the applications that I use in my day job, not to mention my staff task manager (I’m using Wunderlist), my FTP application (currently Filezilla) and version control SourceTree on Bitbucket.